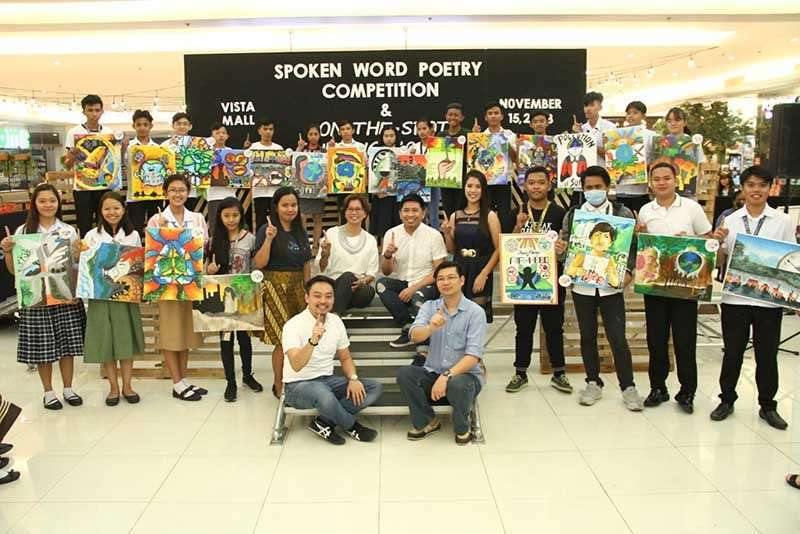 SOME 50 public and private school students from the City of San Fernando recently showed their awareness about the environment through an on-the-spot painting contest and spoken word poetry competition at Vista Mall Pampanga. The Fernandino youth showcased their talents in art that symbolize love for nature and creatively expressed their opinions on environmental programs in the activities. The event is an annual activity that is in line with the celebration of National Environmental Awareness Month and National Clean Air Month, spearheaded by the City Environment and Natural Resources Office, headed by Regina Rodriguez. The two competitions are composed of two categories, which are the secondary and tertiary levels. The winners of the on-the-spot painting contest under the secondary level were Hendrix Celeste of Dolores Stand Alone Senior High School (first place), Cathlene Nunag of Information and Communication Technology High School (second place), and Charles Marius Chavez of Malpitic High School (third place), while the winners under the tertiary level were Joseph Stacy Keach of Asian Caregiving and Technology Education Center (first place), Christian Stephen Finnley Lar of University of the Assumption (second place), and Benson Santos of Central Luzon College of Science and Technology (thiord place). The spoken word poetry competition winners under the secondary level were Chrissan Bolario of Northville High School (first place), Vincent Ocampo of Sta. Lucia Integrated School (second place), and Kathleen Joyce Calilung of Pampanga High School (third place), while the winners under the tertiary level were Prince Jonald Yutuc of City College of San Fernando, Pampanga (first place), Christele Marie Caparas of University of the Assumption (second place), and Joshua Santiago of Central Luzon College of Science and Technology (third place).